For each test, you can check the result and the data analysis. 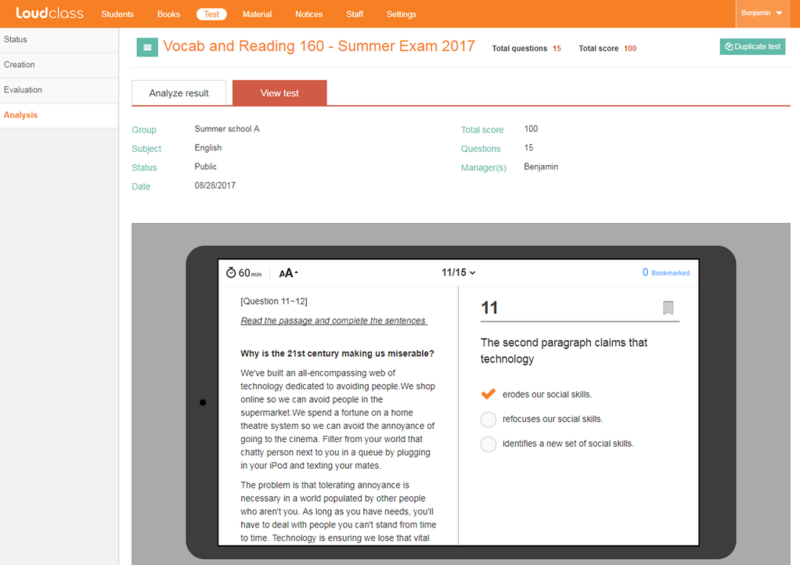 - This is provided for all sessions of a particular test. - If you select the “View test” tab, the test will open in the preview mode. - If you select the session from the list and then the [View] button, you can see the score and data analysis. - You can save the session result by selecting [Export]. For each session, the score distribution is displayed through a graph. 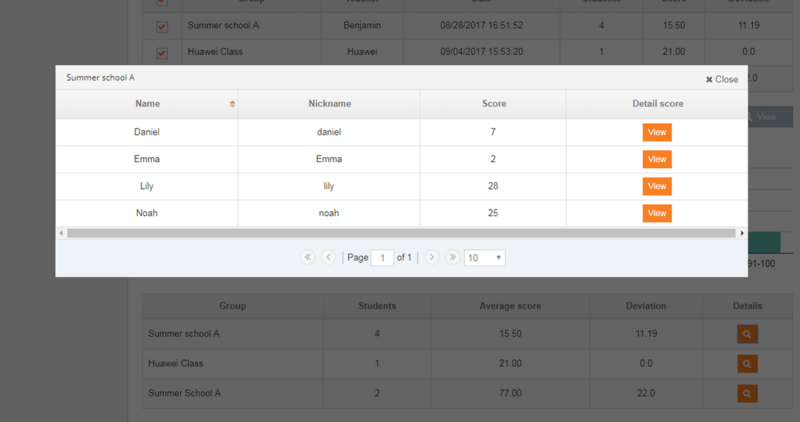 - If you select the [Details] button , a pop-up will appear displaying individual student results. (students who have not taken the test will not be displayed). - In the pop-up window, you can see the score details of a particular student by selecting the [View] button. 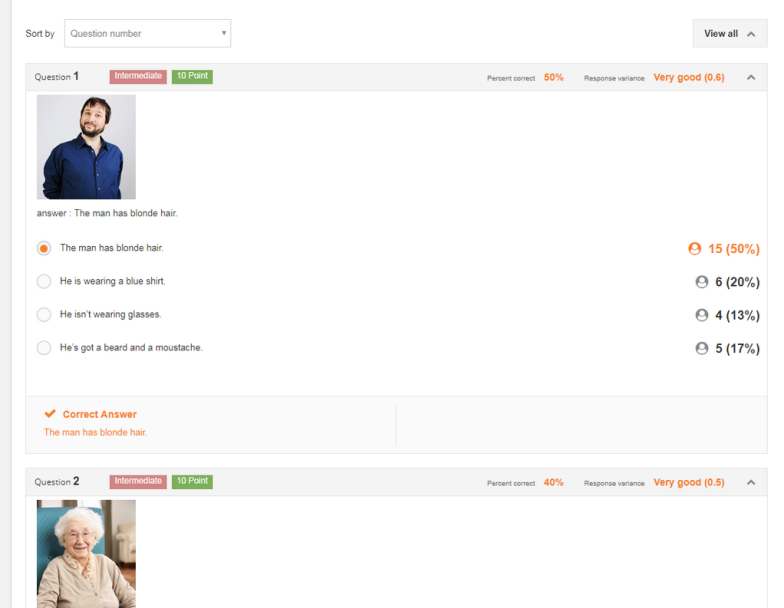 For each question, you can check the correct and completion rate. - Percent correct: Ratio of how many students answered the question correctly. - Percent complete: Ratio of how many students submitted a response. 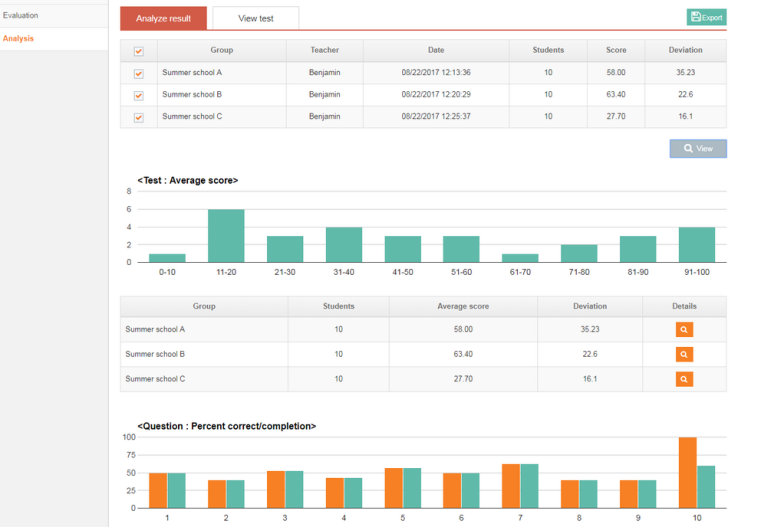 - Comparison of performance between groups for a particular question. - Variance is higher for groups that have more students that get the question correct. - Categorized by Very good / Good / Bad / Cannot evaluate.